Ok so France has always and will always be a hothouse for amazing fashion and designers....I mean it gave birth to the greats Chanel, Dior, Jean-Paul Gaultier and Hermès to name a few and I can imagine it must be hard for the smaller to compare or compete with these giants. But here are two French labels on the rise. So the Gerard Darel has been on the scene for years, but Britain and the United Kingdom only seem to be cottoning on now to how great this label is, and it's quickly gaining a huge following. I mean it does help when Angelina Jolie steps outs in one of your Maxi dresses and sporting one of your bags, along with Jessica Alba and Hallie Berry. I suppose it also helps when you have the beautiful and talented model/actress Mamie Gumner to be the new face of GD, oh and did I mention she happens to be Meryl Streep's daughter? But saying all of this, the reason why high profile people are wearing the label is because the simply make great, stylish, chic and well tailored clothing in true French style. Not only is there women's line fantastic so are there bags, which are getting equal attention in the press at the moment. Perhaps I am a little bit biased, on the fact that I recently bought a Gerard Darel winter/mid-length blazer/coat which has become a firm favourite in my wardrobe, simply due to the perfect tailored fit and high quality finish of it, I personally am not disappointed and will be sticking with them for a while. So another label coming up at the speed of lighting is Zadig and Voltaire, who seem to be everywhere at the moment.....just paging through Glamour and Vogue you will come across there current advert (seen at the top) who who stars Sean Lennon and Charlotte Kemp in true Parisian style. The founder of Zadig comes from a good pedigree you could say, as he happens to be the son of one of the founders of Lacoste. There current line is full of rocky edgy designs using delicate fabrics such as cashmere, washed silk, lace and metallic leather, with glittered skulls and studded eagles it's easy to see why it's become one of rock’n'roll star, Coco Sumner (she was most recently on the cover of Love Magazine) favourite labels. Zadig has recently opened there 2nd shop in London and I look forward to more from this youthful label. love the look in the second photo, very casual-chic! Great array of clothes photographed. Yeah I saw Viv on the One Show, I thought it was great how she talked about environmental issues. They are all gorgeous photos! Just stopping by from SITS to say hello. 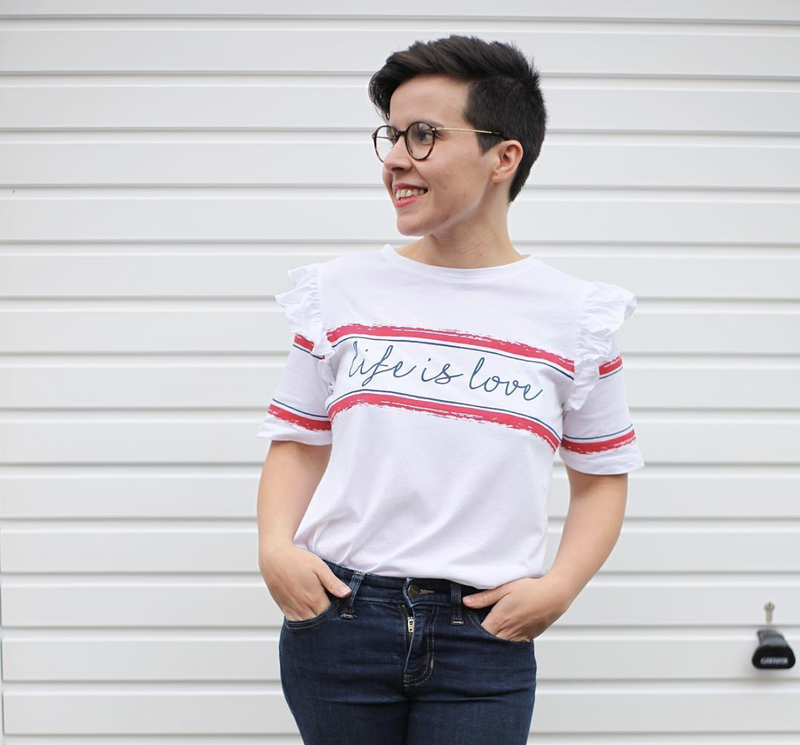 Love your blog header - it's fab! you have a wonderful site..I just love it! Gratz! 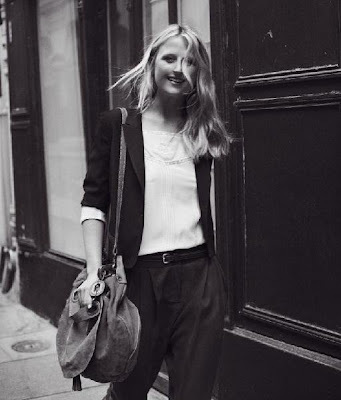 the Gerard Darel adverts are totally chic and I adore Mamie Gummer :) Great post!